Home » Early Disney Black Friday Deals for 2018! You know how Black Friday used to happen the day after Thanksgiving? Now it starts before we put away our Halloween costumes. 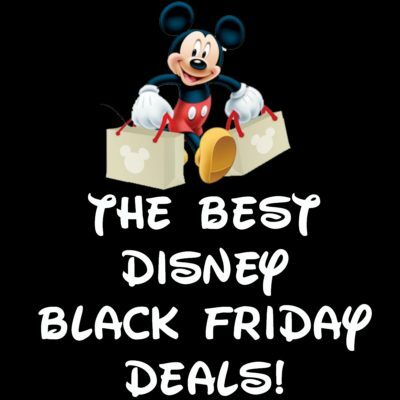 So we’re keeping a lookout for all of the Disney Deals out there and are adding them to this list, so you’ll have the Best of the Best Online Holiday Deals on Disney Goods to help you plan your online pre-Black Friday, actual Black Friday, and post-Black Friday attack! We’ll keep adding to this list throughout the season as the deals are slowly but surely leaked out to the public, so bookmark this page and keep checking back! 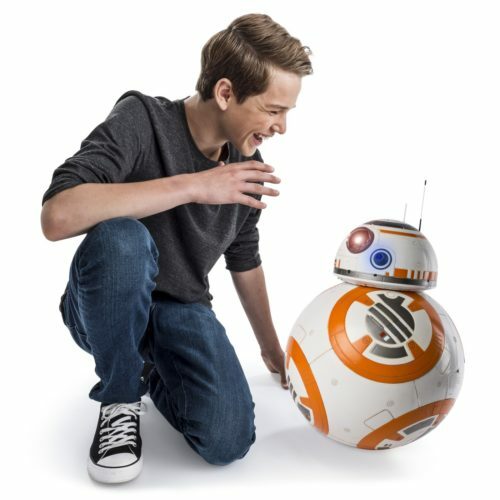 shopDisney Black Friday Sale starts mid-November! Black Friday at shopDisney is ON!! Every other day starting November 12 until November 20, shopDisney is rolling out 2-day deals, for everything from holiday-specific items to toys to clothing. Check back every day to make sure you don’t miss a thing! Amazon Black Friday Deals Week! As of November 1, the deals started rolling in to Amazon! 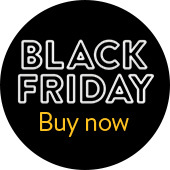 Check here to see all of their Early Black Friday Deals for 2018! Last year, Amazon kept adding to their awesome list of deals and finds every day, and we’re hoping the same will happen this year. Some were limited-time offers, and some stretched over into the next day or two. In 2017, the items listed at the top of the page were their Deals of the Day, and they usually lasted until they sold out or 3 am the next day, whichever came first. Be sure to bookmark this page and keep checking back. We’ll add more deals as we find them! 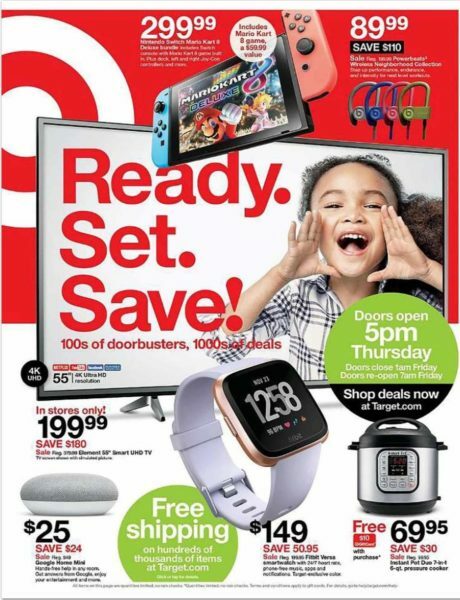 Target’s Black Friday ad is officially OUT! You can find it right here. Plus, they are offering one-day sales on select items from their Black Friday ad, leading up to the big show. According to their ad, this year the doors will open for Black Friday shopping at 5 pm on Thursday, November 22, then shut at 1 am Friday morning. They will then re-open Friday morning at 7 am. They’ll also be offering Free Standard Shipping on hundreds of items, through December 22. Walmart, as per uszh, had deals for days last year, and we expect this year to be no different. As of November 1st, they’ve already started their Dashing Through The Deals promotion, where they’re rolling out new deals each day, and you can go here to check out the deals happening right now. Bookmark that site so you can stay on top of the daily deals. Also, Walmart has released their Black Friday ad, which you can peep on their main Black Friday Page ! Their official Black Friday Deals start Thanksgiving Day, 11/22, at 6 pm in store and 12:01 am online. I mean, who WOULDN’T want to drive their own carriage? Save 100 bucks on this Disney Coach Ride-On right now at Walmart. Right now, it’s marked down from $397 to $297. 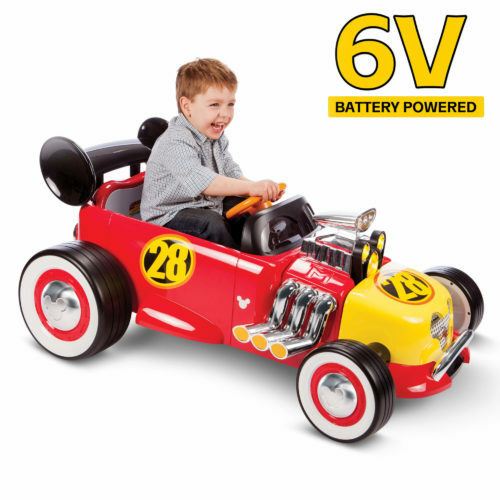 Fans of Mickey’s Roadster Racers will get a kick out of this ride-on, down from $149 to $99 right this second at Walmart. Target Doorbuster! This Kid-Sized Tangled Maximus Horse is regularly $99.99, is on sale right this minute for $89.99, and will be $69.99 when the doors open for Black Friday. We’re not sure if Doorbusters will be available online or not. This rolling barrel of fun is 50% off for Black Friday. Regularly $99.99, he’ll be $49.99 as a Doorbuster. We’re not sure if Doorbusters are available online, so plan your attack carefully. You can grab one of these giant Disney Princess Dolls – they have Moana and Rapunzel – at Target for $39 Black Friday. They’re regularly $59.99, so you’ll save a cool save $20.99. 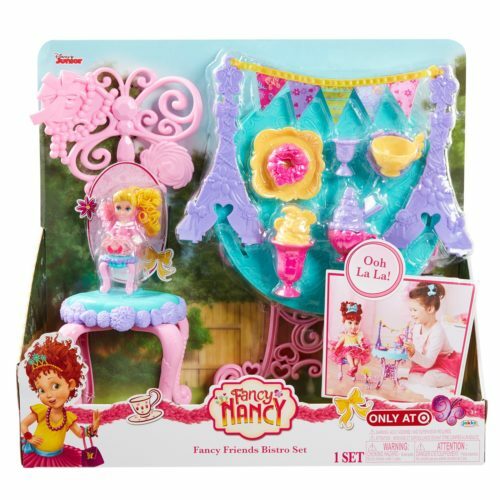 This bit of fanciness is regularly 30 bucks, but you can score it for $20 Black Friday at Target. 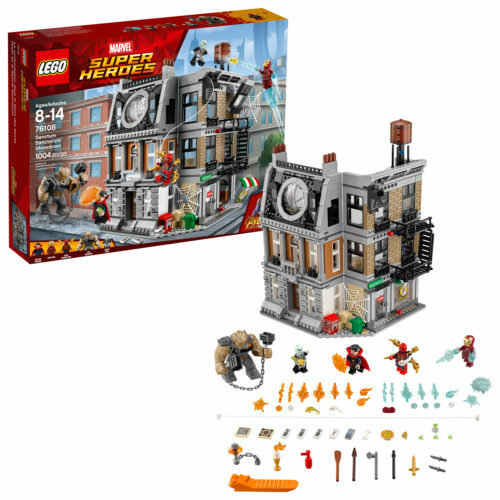 This is a huge, 1,004 piece LEGO Set for Avengers Fans, at an AWESOME price, since LEGO doesn’t go on sale much. Scoop this up at Walmart right now for $86.69, down from $99.99. Be sure to bookmark this page; we’ll keep adding stuff as the season progresses! And don’t forget to visit Mickey Fix for the best Disney finds on the Internet any ole day of the year!